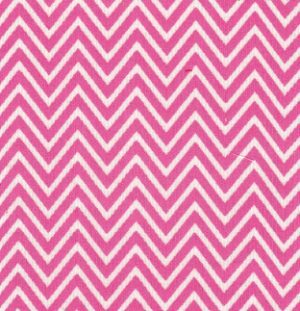 Corduroy Chevron Fabric. Pink and white chevron design. 58″ wide. 100% cotton. 21 wale. Stripes are approximately 1/8″. Chevron runs selvage to selvage.